I was spending some time at Tea Plus Cafe (the peaceful tea & coffee shop on 31st Ave that isn’t yet on everyone’s radar) when I saw the other commercial space in the building is under construction and now has some signage out front. 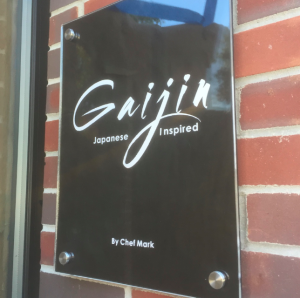 Gaijin will be a Japanese inspired restaurant with 34 seats, a sushi bar, and an open robata grill kitchen (where they’ll cook skewered seafood, veggies, and maybe more?) 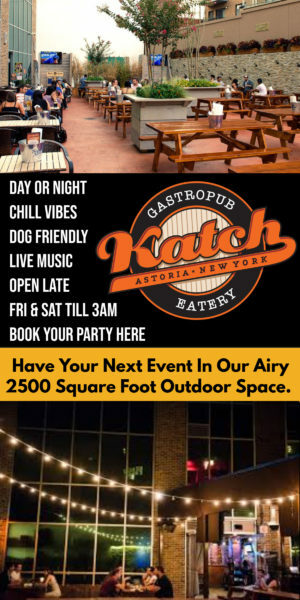 They hope to open by the end of September…which in NYC means sometime later this fall. The name is Japanese and translates to mean ‘outsider.’ There is a full bio on the front window of the titular outsider, only referred to as Chef Mark. Though not Japanese himself, he was the Executive Sushi Chef at several prominent Chicago Japanese restaurants’ and worked for a decade with notable sushi chef & restauranteur Chef Kaze Chan. Swing by 37-12 31st Ave to see the rest of the bio. They’re currently hiring, and their Craigslist includes some pictures of the food, which all looks next-level. 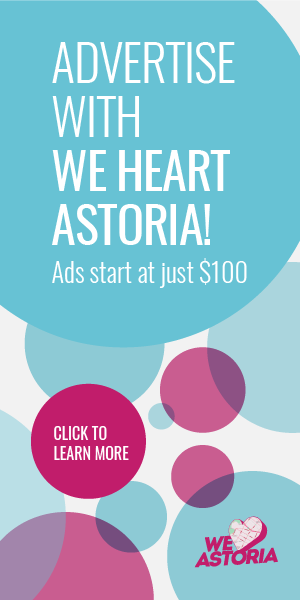 Click through to view them yourself!